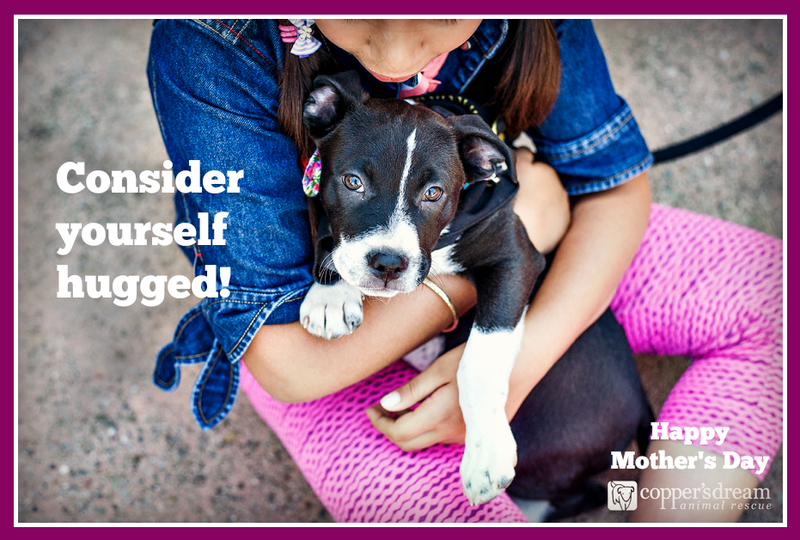 Sure, you could send that special mom flowers or chocolate...but why not send a little puppy love, too? 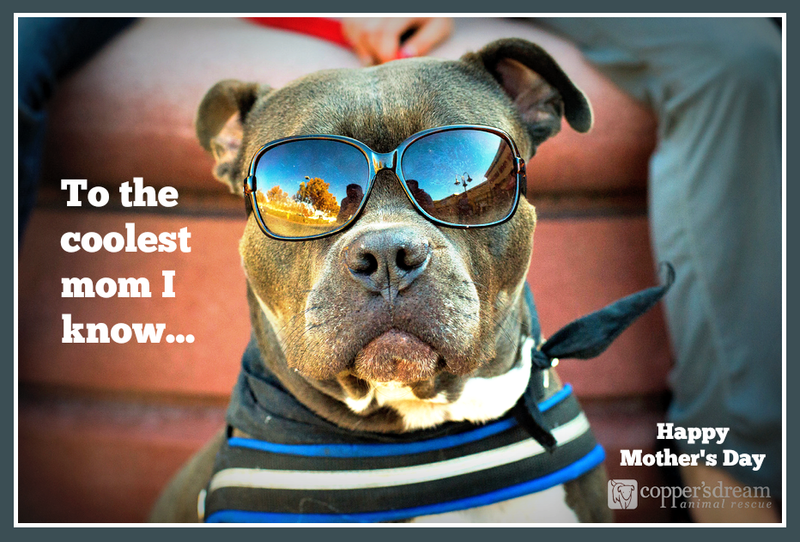 Check out our 4 e-cards below and pick your favorites! will benefit our Medical Fund. Choose your e-card(s) - they're numbered. Click "Donate" below. Cards are $5 each. Be sure to include the email addresses of who you want the cards sent to in the notes field. 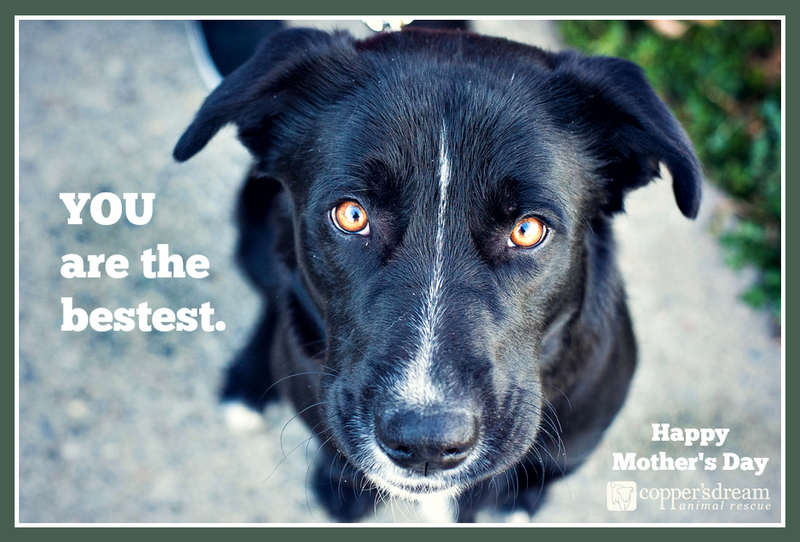 We send out your e-cards by Sunday, May 11th. 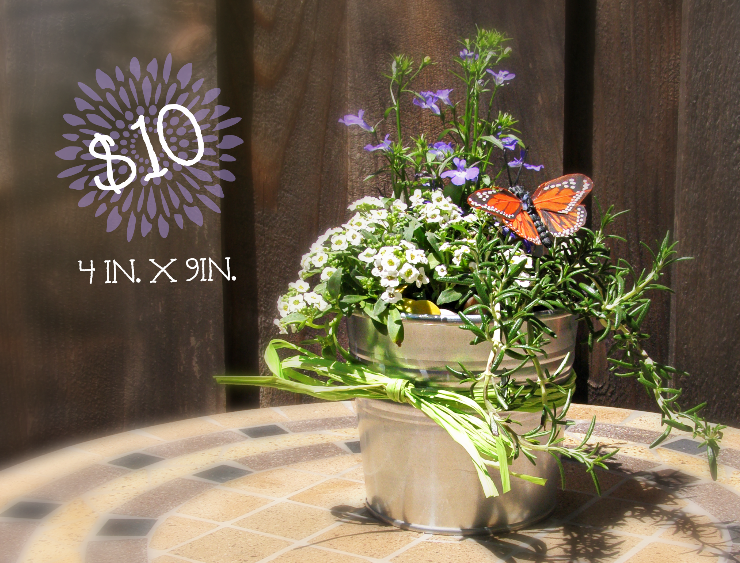 Mom will love this sweet little potted flower arrangement, complete with decorative butterfly and bow for only $10. 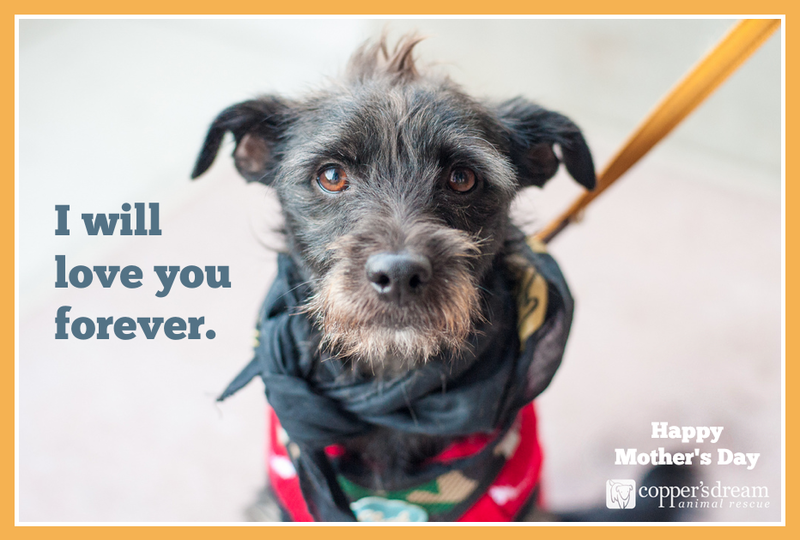 Pick up is Saturday, from 11am to 1pm at our adoption event in Palo Alto. Email alyce@coppersdream.org to reserve your arrangement.